Baumr-AG 20V Cordless Hedge Trimmer Lithium-Ion Battery Electric Garden Tool 22"
Well-trimmed hedges with defined edges and clean lines are a pleasant sight for both the owner and passers-by. At Edisons, you can easily achieve uniform precision for your landscape with the help of Baumr-AG and MTM Hedge Trimmers. 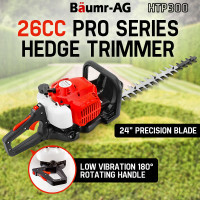 Available in both domestic and commercial two-stroke petrol versions, Baumr-AG and MTM Hedge Trimmers are engineered to give hedges a sharp, clean cut. The patented Easy Starting system allows you to create award-winning hedges with just a single easy recoil start. Backed by a genuine 26cc 2-stroke engine, each hedge trimmer is designed to make you work faster with minimal effort. Baumr-AG and MTM’s lightweight design improves manoeuvrability, making it the ideal tool for any handyman, landscape professional and even the most detail-oriented tradesman. Baumr-AG and MTM Hedge Trimmers are easy to clean and maintain. 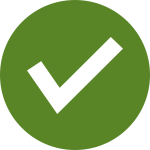 As a supplement to its world-class design and construction, you can also easily access the engine, filter and spark plug. Other impressive features include a rotating handle for improved cutting accuracy, an ergonomic handle for better control and user-friendly interlocking controls. Round up all your lawn and garden care needs with Edisons' wide range of quality Pole Saws, Brush Cutters, Multi-Tools and Leaf Blowers. Whether you’re in Sydney, Melbourne, Brisbane or the Outback, when you buy a Baumr-AG or MTM Hedge Trimmer Edisons will provide you with an extensive 1-year domestic warranty and a 3-month commercial warranty for complete customer satisfaction. You will also receive bonus accessories such as a fuel mixer, a toolset and a handy blade protector for safe storage.